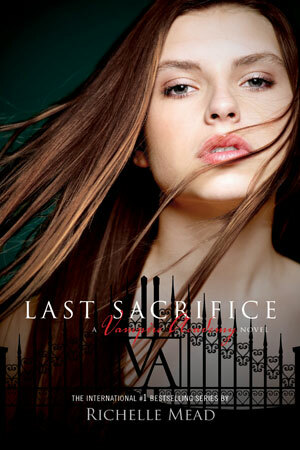 This is the highly anticipated final installment of the Vampire Academy Series by Richelle Mead. There has been lots of buzz around the internet regarding this cover... about a 50/50 split on those that approve/disapprove of the cover. What do you think? There is an Official VA Facebook page (supported by Richelle Mead) so become a follower and keep up with the latest details on the VA movie! I don't like it at all! The other covers were much better, except for Frostbite, which was just weird. Wonder what the UK cover will look like? Meh. The covers of these books were never all that great, lets not kid ourselves. They just took stock images and often the people on the covers even Richelle Mead, the author, said herself that she had no idea who they were. So... yeah. Let's just take this for what it is. The STORY is AMAZING.... and that's what counts. They should one day re-release the entire series with better covers to match the amazingness of the writing, but ohwell.